A presumption of service of notice is to be drawn where the notice is sent through registered post as well as UPC on correct address. It is also to be borne in mind that the requirement of giving of notice is a clear departure from the rule of Criminal Law, where there is no stipulation of giving of a notice before filing a complaint. Any drawer who claims that he did not receive the notice sent by post, can, within 15 days of receipt of summons from the court in respect of the complaint under Section 138 of the Act, make payment of the cheque amount and submit to the Court that he had made payment within 15 days of receipt of summons (by receiving a copy of complaint with the summons) and, therefore, the complaint is liable to be rejected. A person who does not pay within 15 days of receipt of the summons from the Court along with the copy of the complaint under Section 138 of the Act, cannot obviously contend that there was no proper service of notice as required under Section 138, by ignoring statutory presumption to the contrary under Section 27 of the G.C. Act and Section 114 of the Evidence Act. In our view, any other interpretation of the proviso would defeat the very object of the legislation. 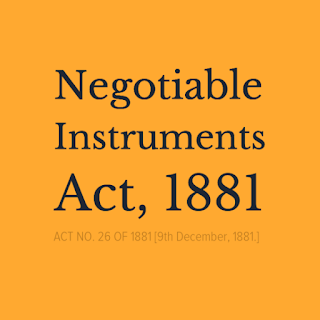 If the giving of notice in the context of clause (b) of the proviso was the same as the receipt of notice a trickster cheque drawer would get the premium to avoid receiving the notice by adopting different strategies and escape from legal consequences of Section 138 of the Act. In complaints under Section 138, the Court has to presume that the cheque had been issued for a debt or liability. This presumption is rebuttable. However, the burden of proving that a cheque had not been issued for a debt or liability is on the accused. Because both Sections 138 and 139 require that the Court "shall presume" the liability of the drawer of the cheques for the amounts for which the cheques are drawn it is obligatory on the Court to raise this presumption in every case where the factual basis for the raising of the presumption had been established. It introduced an exception to the general rule as to the burden of proof in criminal cases and shifts the onus on to the accused. As the signature in the cheque is admitted to be that of the accused, the presumption envisaged in Section 118 of the Act can legally be inferred that the cheque was made or drawn for consideration on the date which the cheque bears. Section 139 of the Act enjoins on the court to presume that the holder of the cheque received it for the discharge of any debt or liability. It must be borne in mind that the statement of accused under Section 281 Cr.P.C. or under Section 313 Cr.P.C. is not the evidence of the accused and it cannot be read as part of evidence. The accused has an option to examine himself as a witness. Where the accused does not examine himself as a witness, his statement under Section 281 or Section 313 Cr.P.C. cannot be read as evidence of the accused and it has to be looked into only as an explanation of the incriminating circumstance and not as evidence. There is no presumption of law that explanation given by the accused was truthful. In the present case, the accused in his statement stated that he had given cheques as security. If the accused wanted to prove this, he was supposed to appear in the witness box and testify and get himself subjected to cross examination. His explanation that he had the cheques as security for taking loan from the complainant but no loan was given should not have been considered by the Trial Court as his evidence and this was liable to be rejected since the accused did not appear in the witness box to dispel the presumption that the cheques were issued as security. Mere suggestion to the witness that cheques were issued as security or mere explanation given in the statement of accused under Section 281 Cr.P.C., that the cheques were issued as security, does not amount to proof. If a huge amount of money is advanced as loan then the person who has purportedly advanced the loan must also show the solvency to the extent of the loan either through the bank account or through other means. The accused in a trial under Section 138 of the Act has two options. He can either show that consideration and debt did not exist or that under the particular circumstances of the case the non-existence of consideration and debt is so probable that a prudent man ought to suppose that no consideration and debt existed. To rebut the statutory presumptions an accused is not expected to prove his defence beyond reasonable doubt as is expected of the complainant in a criminal trial. The accused may adduce direct evidence to prove that the note in question was not supported by consideration and that there was no debt or liability to be discharged by him. However, the court need not insist in every case that the accused should disprove the non-existence of consideration and debt by leading direct evidence because the existence of negative evidence is neither possible nor contemplated. At the same time, it is clear that bare denial of the passing of the consideration and existence of debt, apparently would not serve the purpose of the accused. Something which is probable has to be brought on record for getting the burden of proof shifted to the complainant. To disprove the presumptions, the accused should bring on record such facts and circumstances, upon consideration of which, the court may either believe that the consideration and debt did not exist or their non-existence was so probable that a prudent man would under the circumstances of the case, act upon the plea that they did not exist. Apart from adducing direct evidence to prove that the note in question was not supported by consideration or that he had not incurred any debt or liability, the accused may also rely upon circumstantial evidence and if the circumstances so relied upon are compelling, the burden may likewise shift again on to the complainant. The accused may also rely upon presumptions of fact, for instance, those mentioned in Section 114 of the Evidence Act to rebut the presumptions arising under Sections 118 and 139 of the Act. 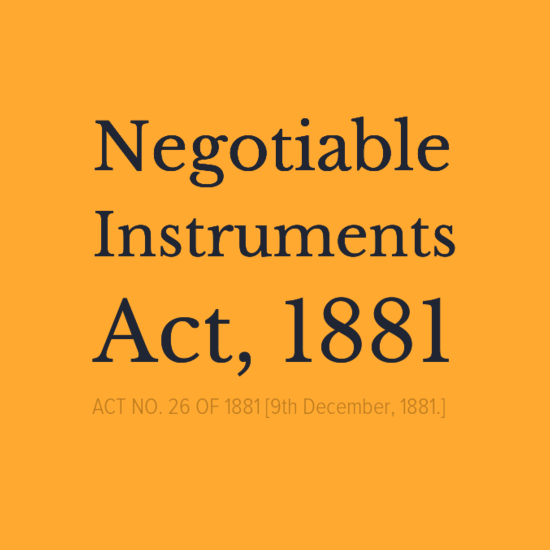 NI Act envisages application of the penal provisions which needs to be construed strictly. Therefore, even if two views in the matter are possible, the Court should lean in favour of the view which is beneficial to the accused. This is more so, when such a view will also advance the legislative intent, behind enactment of this criminal liability.